Yoyo is a young two-toed sloth and the first character for Play and Learn with Miffy. Just like children, sloths explore and learn at their own pace. 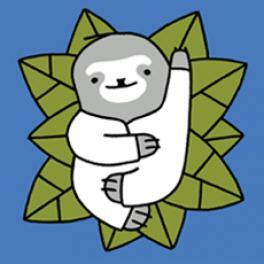 The Venezuelans are proud of their sloths. They don't call them lazy, just slow, as it takes time to do what has to be done. Sloths live in the treetops of the rainforest and hang from branches with their strong claws. They also sleep in trees, and they sleep a lot—some 15 hours and more every day. Even when they are awake they often remain motionless, and silent. Yoyo is different. Sappy and active, going up and down – like a yoyo – the baby sloth is thirsty for knowledge and eager for adventures. In the first book, we read about Yoyo’s birth. Alongside the book, an early child development tool was developed, specifically focusing on the one million under-aged mothers in the country. A poster shows how Yoyo is washed, put to bed, and taken care of and loved by his mother and father.